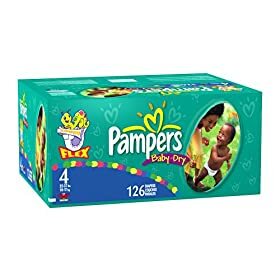 Cheap Pampers Diapers – Sale of the Day! Amazon is having a sale on Pampers diapers. It isn’t quite as cheap as 380 LUVS for $20.49, but it is a good deal. STEP ONE: Choose the diapers that you want. Any of the diapers on this page will work for the deal. STEP THREE: Use the coupon PMPRSJN9 to get another 15% off. That comes out as low as 8 cents per diaper and they are shipped to your house! This deal is good through June 15th. Previous post: Woodcraft Magazine $4.50/year – Today Only!